NIHR CLAHRC West are collaborating with the West of England AHSN to evaluate the effectiveness of using the National Early Warning Score (NEWS) in out-of-hospital settings. In hospital, early warning scores are routinely used to monitor patients’ condition and identify if they are at risk of getting worse. Staff are trained to intervene when abnormal scores are recorded. This aims to give patients the right treatment quickly. Outside hospitals, these scores are not used as a matter of course. Using these scores could potentially help to identify and prioritise unwell patients as they move between care settings, so they can see the most appropriate healthcare professional and get the right treatment as quickly as possible. Each of these is scored from 0 to 3 and they are added together to give an overall score. An additional two points are added if the patient has been given oxygen. Communication of a patient’s score at handover could allow staff to immediately understand how ill the patient is. 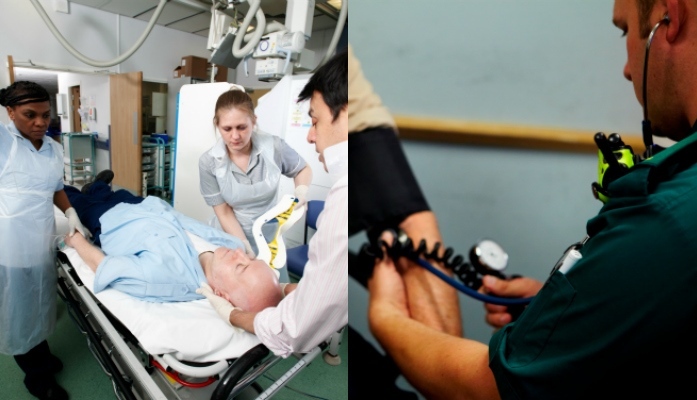 The West of England Academic Health Science Network (AHSN) is promoting the use of NEWS in out-of-hospital settings including GP practices, the ambulance service, community care and out-of-hours care. All hospitals in the West of England already used early warning scores, but as part of this project they now use the same NEWS score. The aim is to use the same scoring system (NEWS) across all organisations across the health system. It is hoped that this will improve outcomes for patients as the sickest patients should get identified promptly and receive treatment as quickly as possible. Interview health professionals who have used NEWS in a wide range of out-of-hospital settings. We will focus on whether they have found NEWS useful and effective when transferring patients between health care organisations, addressing the following questions: Who is using NEWS in pre-hospital settings in the West of England AHSN area? Why and how are they using it? Can NEWS be used effectively in different contexts? It is anticipated that this research will support the West of England AHSN in our drive to develop patient safety initiatives across the region. It will also provide valuable information for clinicians and policy makers across the UK to inform further roll out of NEWS into pre-hospital settings.